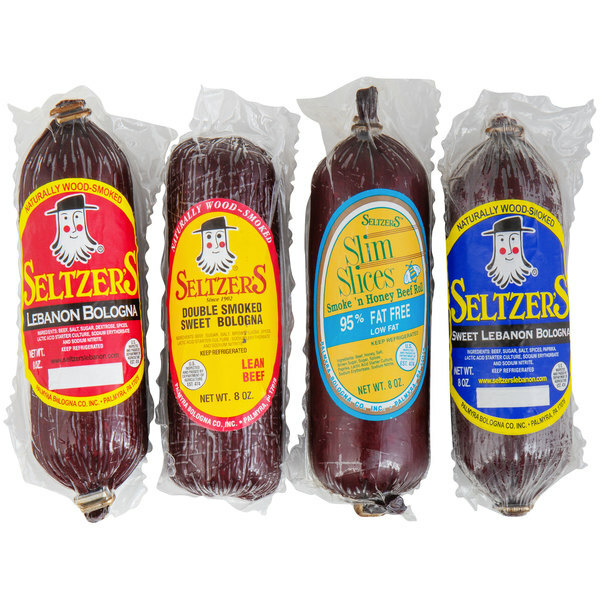 Try this smokehouse sampler to get a taste of the variety and quality Seltzer's bolognas have to offer! 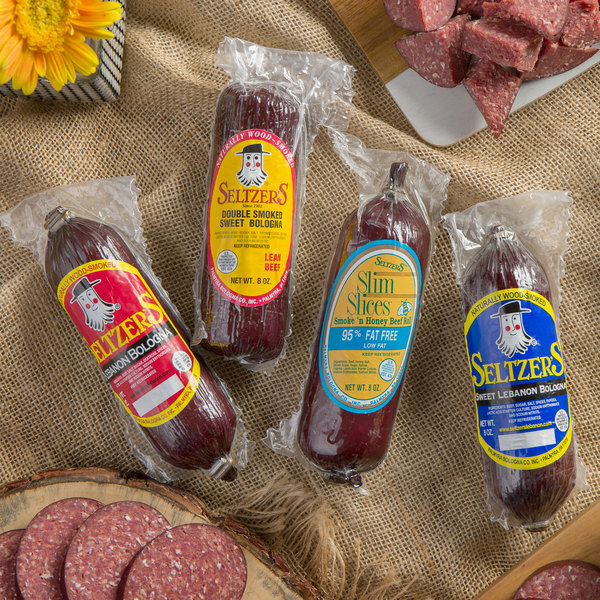 Seltzer's meats are made with quality ingredients like premium beef and spices. 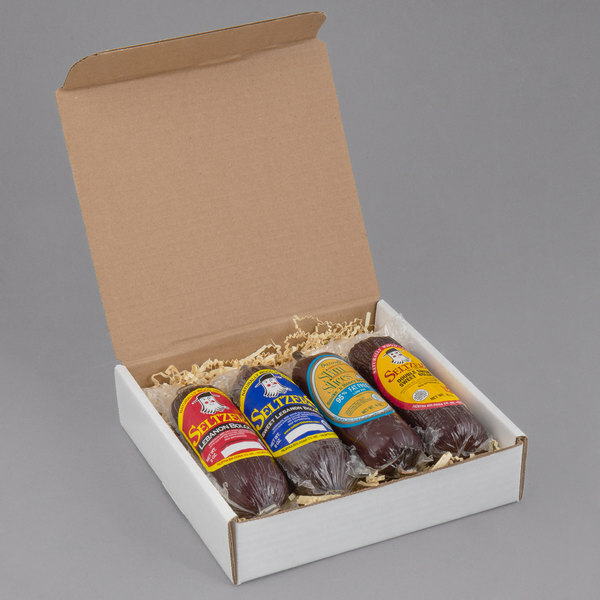 These products are expertly cured and feature an authentic smoke flavor that your guests will love. A perfect and professional gift, you can trust that these bolognas from Seltzer's are a product guaranteed to please. This sampler includes (4) 8 oz. of original, sweet, smoke and honey, and double smoked sweet flavored whole bologna. These smaller chubs are perfect for cubing for a tasty snack. Show your appreciation for your favorite customer, most important vendor, business partner, or anyone else. 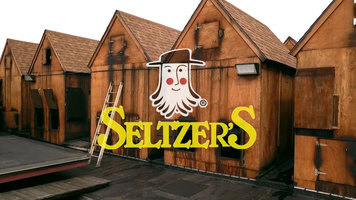 Great for any occasion, use this holiday pack to give the gift of Seltzer's flavor and quality!